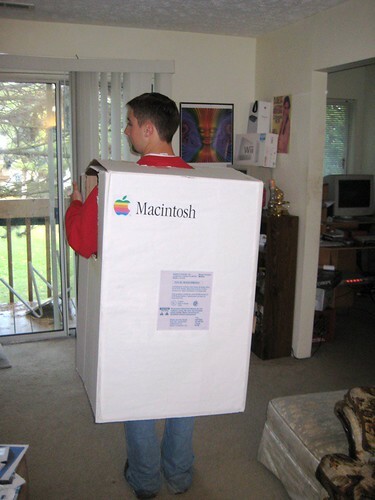 Here’s a fun project for the Macintosh fan: make yourself a classic Mac costume. Posted by davelawrence8 at 5:24 am on October 28th, 2008. 5 comments... » Categories: DIY. Tags: all hallow's eve, apple, banner, budget, cardboard, cheap, costume, dress-up, halloween, HP, idea, ideas, mac, macintosh. Subscribe via RSS. iNewton: Turns your iPhone into a perfect re-creation of the coolest PDA of 1993. Coolest PDA ever is more like it. Now if only someone would take the idea seriously. Posted by davelawrence8 at 7:27 am on October 5th, 2008. No comments... » Categories: ibook, ipod/iphone, newton. Tags: apple, april fool's, idea, inewton, messagepad, newton, PDA, wired. Subscribe via RSS.